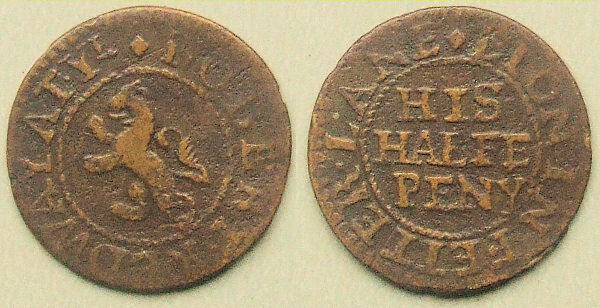 A half penny token of Robert Redway of Fetter Lane, London. The above copper half penny measures 17.9 mm and weighs 1.51 grams. It was issued in the name of Robert Redway, the inn keeper at the Red Lion in Fetter Lane. 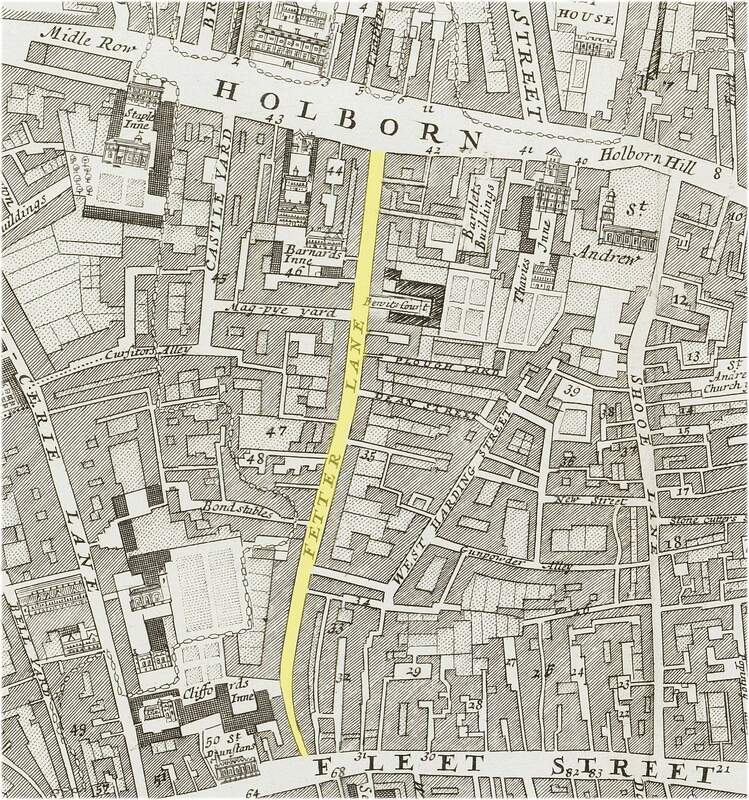 Fetter Lane ran north off Fleet Street to Holborn through the ward of Farringdon Without. Obverse: (diamond) ROBERT.REDWAY.AT.YE , around twisted wire inner circle, rampant lion left. Reverse: (diamond) LION.IN.FETTER.LANE , around twisted wire inner circle, HIS HALFE PENY in three lines within. According to the Hearth Tax returns of 1666 Robert Redway lived in the Middle Precinct of Fetter Lane in a dwelling (presumably the Red Lion ) having 7 hearths. Fetter Lane was fully consumed by the Great Fire of 1666. Interestingly in the survey of building sites laid out in London after the Great Fire there are three separate plots staked out in Fetter Lane in the name of Robert Redway. The first of these was on 20th May 1667 and was adjacent to the Mercers’ Company and the Vicarage House. The second two were allotted on 8th June 1667. According an entry attributed to Sir Thomas Blidworth (MP) in a publication by William Bedloe of 1679 (Narrative and impartial discovery of the horrid Popish Plot) separate cases of arson were discovered on both the 3rd and 4th of August 1670 in rooms belonging to of the Red Lion, an establishment run by Robert Redway in Fetter Lane. The perpetrators of these crimes were not known but it is inferred by the publication that they were Catholic agents looking to raise the city to the ground by the setting of fires as had been suspected to have been the cause of the Great Fire of 1666.